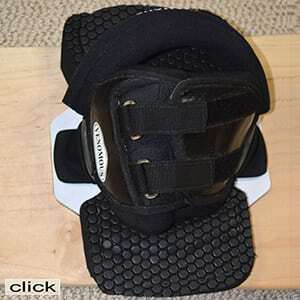 Tri-layer sandboard specific foot pads with a super sturdy waffle top pattern for solid grip. 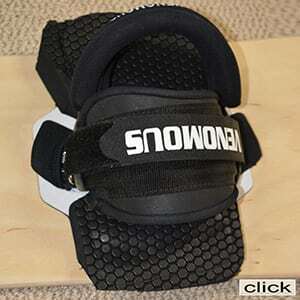 Foot pads take the impact for jumps and chatter. The Venomous design is comfortable, effective and sturdy. High density curved plastic plated base holds the pad firmly to the board. No adhesives needed. 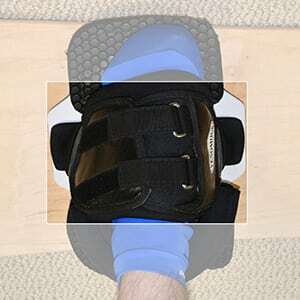 Multiple bolt settings allow this foot pad to easily be adjusted for angle or removed. Water proof, crush proof and wear resistant! 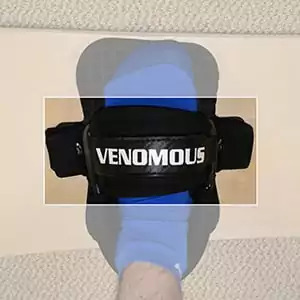 Comfortable & responsive Waffle foot pads by Venomous highlight advanced foot pad technology that is correct for human body weight, protection of the foot and handling. 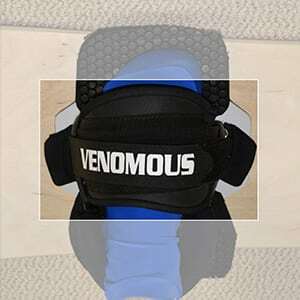 Venomous Waffle foot pads are the standard for the industry. 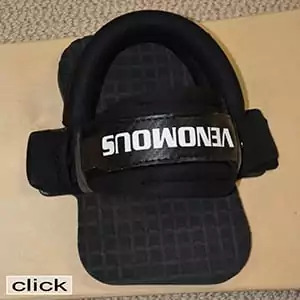 These are genuine sandboard foot pads!